At Jan's Custom Window Fashions in Mid-Michigan, you'll find more than just great window coverings. Whether you're shopping for a single window treatment, redecorating your entire house or seeking the solution to a complex design challenge, you'll find great people who have the knowledge and expertise to help you put it all together. We proudly provide expert design consultation, proper measuring and installation, and professional aftercare and repair services. We're committed to doing the job right because your window coverings are an investment you'll use and enjoy for years to come. We stand completely behind our products and our work. Jan's is locally owned and operated in Clio, Michigan. We proudly serve the communities of Mid-Michigan, including Genesee and Oakland Counties and the surrounding areas with our professional services. 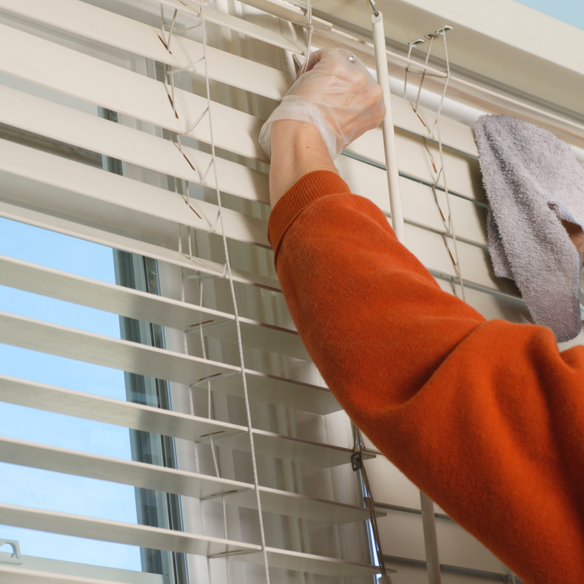 Whether you're submitting an insurance claim for damages to your window treatments, or simply need your drapes cleaned to make your treatments look new again, Jan's Custom Window Fashions has you covered! We're equipped with a certification and professional equipment for on-site cleaning, but accept drop-offs as well. Our special cleaning process can remove any stains or allergens without damaging the appearance of your treatments. We're also able to repair all brands and styles of window coverings, most times on-site. Our team is accommodating and courteous of your property and will put temporary coverings in place should we need to take any of your treatments in for repairs or cleaning. You can rely on our team to keep your windows looking great. We're your local Hunter Douglas Certified Dealer, serving Clio, Genesee County, Oakland County, and all of Mid-Michigan. Our professionals are trained to measure and install all Hunter Douglas window shades and blinds for proper fit and function. "We purchased Hunter Douglas blinds from Jan to cover 15 newly replaced windows. Her kindness & expertise through a most difficult time & circumstance (with a window installation company), made a great impression on us. She made sure that the measurements, window treatments, and installation were all done perfectly. Her attention to detail, eye for decorating, and expert advice made choosing our blinds a joy. She knows how to "listen" to the client & also knows her products, so she can offer what is not only the best for the decor & style of the home, but also so the client will "love" what they have purchased. We cannot say enough good things about how we were treated with respect & care, the attention to detail that she gives, and the products she offers. 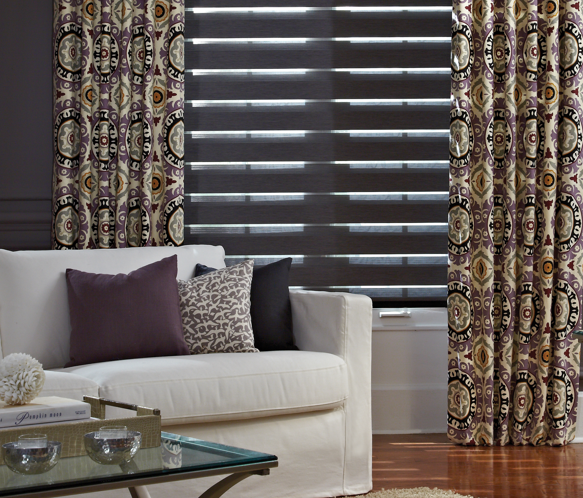 We would recommend Jan's Custom Window Fashions to anyone who is in need of new blinds or window treatments. With Jan's, you will never have any regrets!" "Jan's did a great job with our window treatments. We remodeled our living room and added a valance and shade which completed the room. Their help picking out the right pattern for the valance and window blind made the experience easy. The final touches of the matching pillows and re-upholstered chair made all the difference. 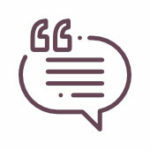 We would recommend Jan's to anyone considering a remodel." "I loved working with Jan. She was always full of ideas and was more than willing to come when I was available and stay within my budget. We LOVE our new blinds!!! Thanks Jan!" "I really enjoyed working with Jan and her team and can say I enjoyed the process as well as the final results…I would highly recommend Jan's Custom Window Fashions and have already used their other services!"